These Pumpkin Overnight Oats are a serving of yummy pumpkin and cinnamon goodness with enough protein to qualify as a healthy fitness breakfast or snack. Fall is here! It’s the season of pumpkins, cinnamon spice, and all things nice. Which pretty much sums up this High Protein Pumpkin Overnight Oats recipe. Because you prepare everything the night before, you literally just have to open your fridge and get the overnight oats in the morning, making this the quickest breakfast ever. If you are really hungry, you may find that you have finished eating your breakfast before your morning coffee is ready! You don’t even have to spend a lot of time the night before preparing. You just need to mix all of the ingredients, which should take you less than 5 minutes, especially if you have a good blender. I stacked all the ingredients before combining them so you can see how pretty it looks, but since you don’t have to worry about pretty pictures for your blog, you don’t have to do that. If you have tried some of my other recipes, you know that I like my meals high in protein and low to medium in carbs. This isn’t a low-carb recipe, but with 34 grams of protein and 26 grams of carbs, it has the perfect macronutrients for a healthy breakfast that will give you enough energy to last until lunch or get you through a hard resistance workout. The trick to getting enough protein in these Pumpkin Overnight oats is the Greek yogurt and, of course, the protein powder. 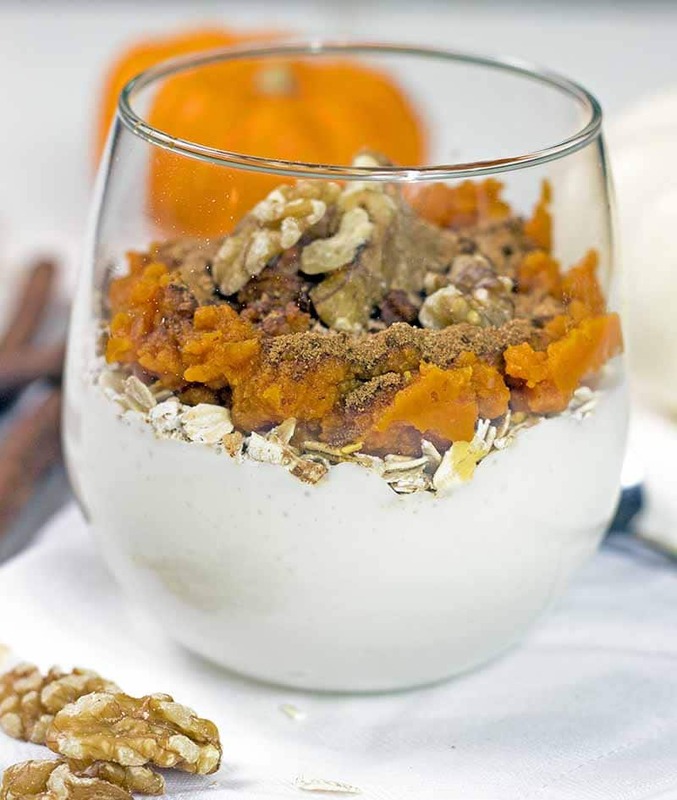 The yogurt not only adds protein, it also gives the Pumpkin Overnight Oats a nice smooth consistency. The protein powder I use (Met-Rx) has a great vanilla flavor, which is why I use it in so many of my recipes. For me, pumpkin is a seasonal autumn thing. 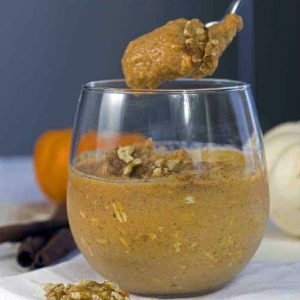 I love pumpkin, but I couldn’t eat Pumpkin Overnight Oats for breakfast every day. 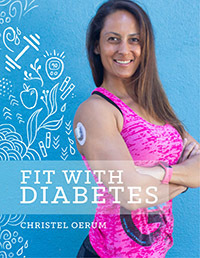 That’s why I have more than one overnight oats recipe on Diabetes Strong! If it’s not pumpkin season (or if you just don’t feel like pumpkin today), try my High Protein Chocolate Overnight Oats with Almond Milk instead. It’s just as healthy and tastes like chocolate pudding. How can you go wrong with that? 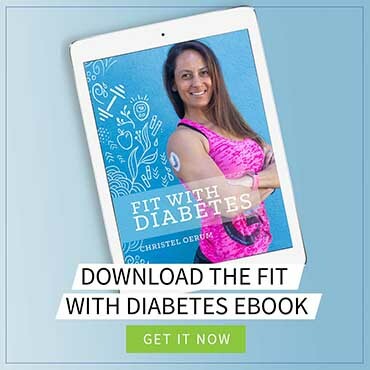 If you are looking for more healthy breakfast options, check out my roundup of the best low-carb breakfast ideas for diabetics. When you’ve tried this high protein pumpkin overnight oats recipe, please don’t forget to let me know how you liked it and rate the recipe in the comments below! 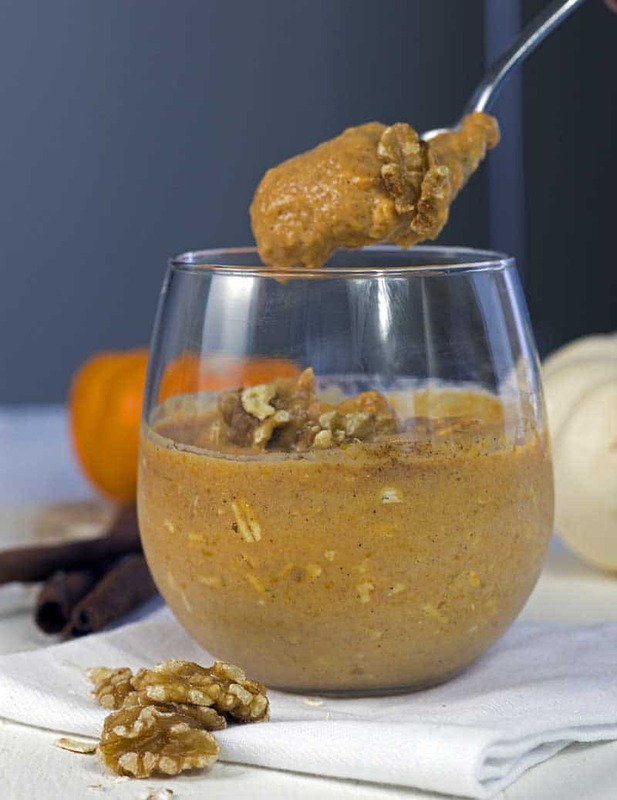 This Pumpkin Overnight Oats recipe is a serving of yummy pumpkin and cinnamon goodness with enough protein to qualify as a healthy fitness breakfast or snack. Blend Greek yogurt, protein powder, and almond milk (I use a Nutribullet). Add oats, pumpkin, Stevia, and spices to the wet ingredients. Mix thoroughly and place in the fridge overnight. Take out of the fridge and stir with a spoon to an even consistency. These were very good but I made some adjustments. I added 1 tablespoon of ground flaxseeds. I substituted unsweetened vanilla soymilk for almond milk, and omitted the stevia. I found that there was not enough liquid so I added more soymilk, the oats were too thick when I went to eat them in the morning. Also, this seems to be more than one serving, so I am portioning it out to 2 servings. Normally when I make overnight oats I only start with 1/2 cup dry oatmeal, plus with all the additions, this is one huge serving! Very good flavor, though, I will be adding this recipe to my rotation. Can you try any protein powder? Absolutely! You can experiment with different flavors. You can also use an unflavored powder and add a little vanilla or vanilla essence. Is there anything to sub the yogurt out for to make it dairy free? Or would be okay without it? Thanks! This was amazing! Only one change for me as I cannot stand Stevia is I sweetened with pure maple syrup. It’s what I use in my oatmeal anyway. I’m going to try this! I’ve been wanting to try an overnight oat recipe and this sounds perfect….thanks! Did you get a. Chance to try it.. How was it? Sounds good.